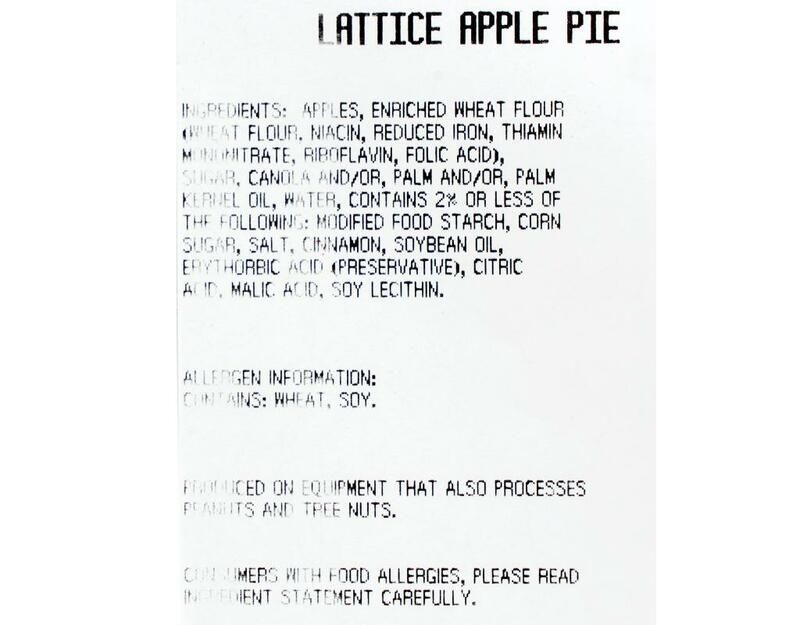 Nothing beats a traditional apple pie, complete with the lattice crust. 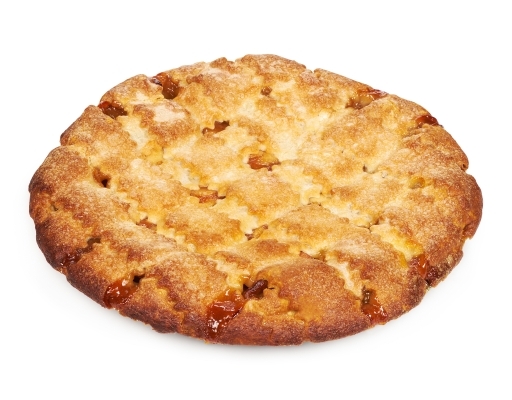 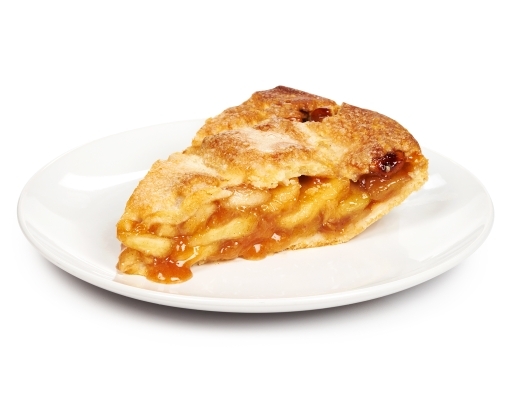 Softened apples submerged in sweet filling, every slice will take you right back to apple-picking season. 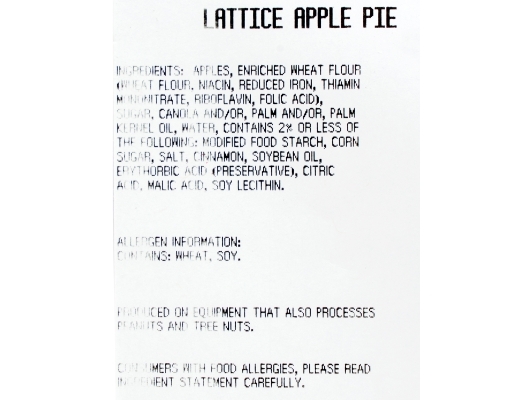 Apples, Enriched Wheat Flour (Wheat Flour, Niacin, Reduced Iron, Thiamin Mononitrate, Riboflavin, Folic Acid), Sugar, Canola and/or, Palm and/or, Palm Kernel Oil, Water, Contains 2% or less of the following: modified food starch, corn sugar, salt, cinnamon, soybean oil, erythorbic acid (preservative), citric acid, malic acid, soy lecithin.